ALONG WITH THE GODS: THE TWO WORLDS is setting unprecedented records during its opening weekend in theaters. 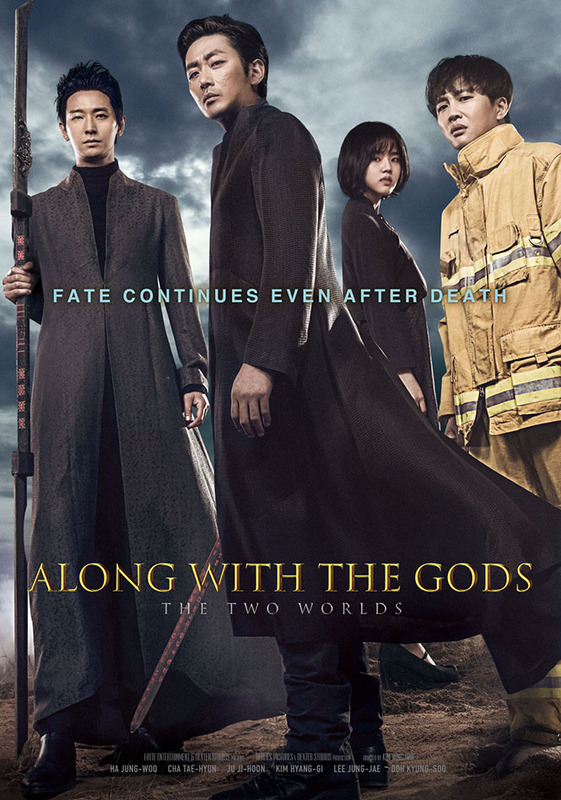 Officially opening on 1,909 screens on Monday, December 25th, ALONG WITH THE GODS: THE TWO WORLDS has earned $36 million by crossing 4.76 million admissions mark over its opening six day run. This incredible feat is 1 day shorter than HA Jung-woo’s own ASSASSINATION and a Hollywood blockbuster THE AVENGERS: AGE OF ULTRON, and 6 days shorter than winter season’s record holder ODE TO MY FATHER, which accumulated over 14 million admissions in total. It also set the highest one day admissions record of 2017 with 1.25 million on December 24th, surpassing A TAXI DRIVER’s 1.12 million. The film also ranked #1 in Taiwanese box office in its opening weekend even if it opened alongside hotly anticipated Hollywood blockbusters STAR WARS: THE LAST JEDI and THE GREATEST SHOWMAN on December 22nd. The upcoming releases of ALONG WITH THE GODS: THE TWO WORLDS include Thailand and Vietnam in December; and Cambodia, Laos, Australia, New Zealand, Hong Kong, Singapore, Malaysia, Indonesia, Myanmar, and Philippines in January 2018.